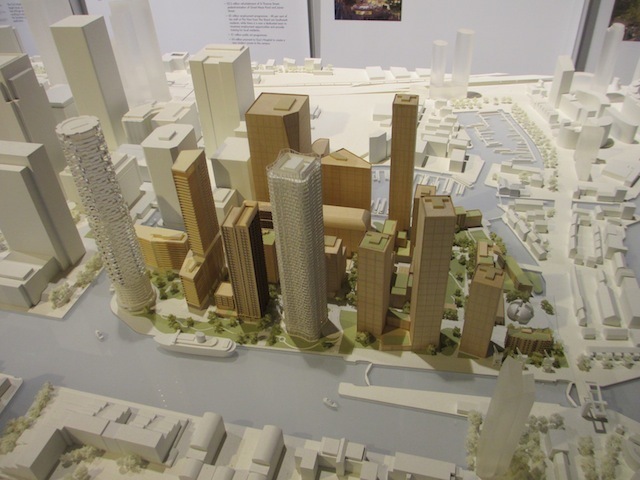 Updated model of Canary Wharf/Wood Wharf showing proposed development on the Isle of Dogs. Over 230 new towers are planned for London. Is this a good thing? Is this a bad thing? Neither. It's a nuanced and complex thing, with both pros and cons, as a new exhibition makes clear. London's Growing... Up opened today at New London Architecture, a wonderful hub of discussion about the built environment, close to Tottenham Court Road. NLA recently conducted a survey into high-rise building in London. The results, and their implications, have made headlines all week, and are now explored further in this free exhibition. The story begins with a short history of tall buildings in the capital, from the relatively modest 55 Broadway to the mega-development at Canary Wharf. We're then given some stats about people's attitudes to tall buildings. Survey results show that Londoners are ambivalent to towers: many love them, many loathe them, while some take a 'depends' point of view. 36% of people say the Gherkin is London's best tower, while 22% prefer the Shard. These are but two of many insights. The next section looks at the complicated planning process, which involves contributions from local government, councils, heritage bodies and even the Civil Aviation Authority. This section is perhaps the most interesting, teasing out some of the pressures on local councils to approve tall buildings — a subject we will revisit in a future article. We also get plenty of information on the 236 towers highlighted in the report, all of which are over 20 storeys. Some are merely proposed, others are approaching completion. A whopping 80% are residential towers, many of which are luxury, unaffordable developments. About a quarter are in just one borough: Tower Hamlets. Plenty of architectural models are on show, too. Every Londoner should visit this exhibition. It not only gives a glimpse of what London is becoming, but also encourages thought and debate. We particularly like the idea of a publicly accessible internet 3-D model of the capital, to allow Londoners to better scrutinise plans. 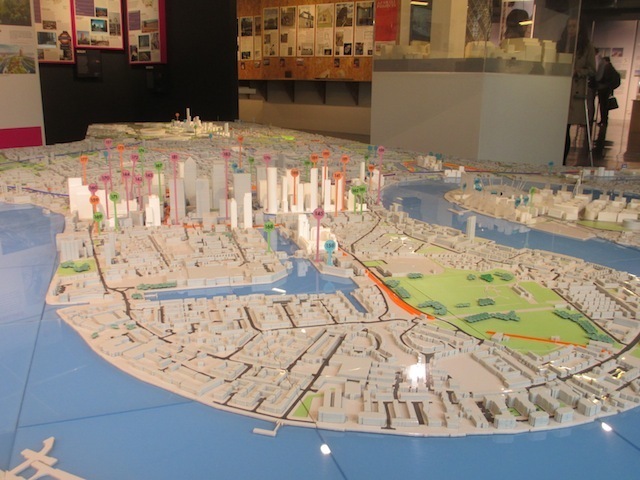 For now, you can finish your visit by exploring NLA's superb physical model of the city, which has been updated to include the 236 towers. London's Growing... Up is at New London Architecture, 26 Store Street, London WC1E 7BT until 12 June. Entrance is free.